With the average data breach costing around $3.6 million, it's vital that your company is safe from any nefarious actors. When a hacker gets into your servers, they can take control your system and all its users. You desperately need a firewall to ensure your customers and company are well protected. With the prevalence of ransomware like the widespread WannaCry hack in recent years, hackers have gotten more sophisticated. As ransomware gets easier to deploy, smaller systems and companies are at a higher risk. A hack could damage your brand, your public perception, and even lead to lawsuits. If you're not sure if you need a firewall, you should get to know more about what kind of insurance they can offer. Here are three reasons to consider a firewall. The work that your company does likely resides on your company's servers. If you create any copywritten material or digital projects, a hacker could get ahold of your licensed material and distribute it for free. Media companies that create films, music, and other media could lose profits when data goes out before it's planned release date. You could also put sensitive employee communications at risk. If you're in the middle of any kind of legal settlement, those details could put the whole deal in jeopardy. You need to protect your employee communication as intently as you protect your financial assets. If you have user data stored in your system, you should treat that with care and respect. The payment information that users keep on your servers is expected to be safe and secure. If hackers can breach a firewall and get to it, your reputation could be severely damaged. Failure to protect your users could lead to a lawsuit or a general distrust, the losses of which are hard to calculate. Not every company prioritizes the importance of securing their users' data. If your competitors get hacked, you can be the company they turn to for all of their needs in your industry. With your competitors marked as unsecured, you'll be able to take advantage of a gap left in the market. Users that were the victims of poor company practices will be wary about working with another company. Offer them a discount in response to the costs they'll be accruing due to their compromised data. With all that could go wrong with anything from unsecured wi-fi networks to negligent employees, you should implement a firewall. A firewall will ensure that your company's communications stay within the company. You won't be walking down the street and see a competitor has suddenly got a product that looks and acts just like the product you were working on. If you want to learn more about network security, check out our guide to systems with firewalls. 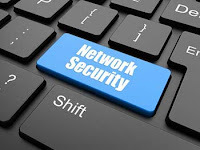 If you need help with your network security in Denver, feel free to give us a call at 303-394-9426. We'll be glad to help if you need a firewall. At Cadamier Network Security Corporation in Denver, we understand the value of network security with a firewall. Firewalls, which continue to evolve and improve, have become very commonplace as they are a proven defense mechanism against an increasing and changing variety of cyber-threats. Today, we discuss a few details to help you better understand how firewalls can protect your business. Think of a firewall as perimeter fences. Basically, they monitor incoming and outgoing traffic to determine whether it should be allowed or blocked. Firewalls have become increasingly sophisticated and can now implement control policies and more thoroughly inspect packets of traffic. Additionally, firewalls can perform tests on packets to determine if they are safe. Stateful takes network security with a firewall to another level, allowing traffic examination to be performed more holistically. For example, this approach can configure your firewall to allow some traffic through for certain users while at the same time blocking other traffic for other users. Firewalls that have integrated more advanced features are referred to as next-generation firewalls. These more advanced options can include the integration of intrusion detection and prevention as well as encrypted traffic inspection. If your business needs to improve its network security with a firewall, contact us here at Cadamier in Denver. We have all the solutions you want and need for your business. These firewalls act as a gateway between end users (requesters) and the source of the data. With a proxy server, all traffic is filtered before it arrives at the end user. This protects end users, who are often clients, from threats by masking requester identities. Instead of sitting at an entry or exit point, web application firewalls are located in front of specific applications. These firewalls are intended to protect application servers. Firewall hardware is generally a server that is able to be a filtering router while running firewall software. Multiple servers can be used throughout a system to handle the capacity needed for a business. This is generally the central manager of firewall deployment. Your software can be used to configure features, control analysis, and implement your cybersecurity policies. To better accomplish the finer points of cybersecurity measures, a number of companies are using next-generation firewalls in conjunction with IPS products. This combination can help companies perform signature tracing and improved anomaly protection. The combination allows companies to better prevent threats from entering corporate networks. This is a feature that has started to be included in some next-generation firewalls. This allows the firewall to contain unknown traffic or coding and run it in a test environment. This allows your security to better determine when such traffic is going to cause your company trouble. If you need to improve your network security with a firewall or upgrade your existing firewall arrangement, contact us here at Cadamier in Denver. We can help you improve your cybersecurity and better protect your business. Here at Cadamier Network Security Corporation in Denver, we want to share more about why you need log collection and security reporting for your business. Regardless of the size of your organization, these are important components used in monitoring your network for vulnerabilities and attacks. 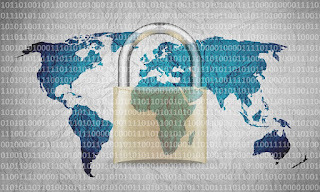 Log data is a great way to help you ensure that your data security methods are proactive. They also help you make it more difficult for someone trying to breach your security systems. Log data can help you analyze and understand what occurs within your network regularly and this can help you expose attacks and identify the damage done quickly. Each log contains valuable information that can be incredibly useful if you know how to use and analyze each one. Log data can even help you find breaches in your security in real-time rather than after the damage has been done. Log management systems can help you achieve accurate real time analysis which can help you create real-time responses to cyber-security threats. For example, users can be logged off and the system can be shut down in response to a threat. Having a log can help you establish what is normal for your networks and this is an important step in allowing you to identify abnormal logon activity. Abnormal activity can then be analyzed using log management. This will enable you to understand root causes for abnormal activity and correlate events and log activity from many devices simultaneously. This can be a great benefit to your business’s security. While you may understand the need for monitoring servers, firewalls, and network devices, you may benefit from monitoring workstation logs as well. Workstation logs can also give you key information. It can tell you, for example, if someone connected a USB, when it was connected and whether it was an authorized connection. This may help you establish if an employee is doing something unauthorized or breaking your cyber-security protocols. If you need assistance with log collection, analysis, and security reporting, contact us here at Cadamier in Denver. We can help you with your network security needs and improve your company’s cyber-protections, including log creation and management. Creating logs, storing them, and analyzing them allows you to create a security audit trail. While these trails are mainly used for security purposes, they can be used for other audit purposes as well. To audit log files effectively, it is likely that a log file management solution will be needed. Log analysis software can automate what may seem like an impossible task and it can make your log management effective and timely while increasing your cyber-security. If your business is looking for effective log file creation and security reporting, contact us here at Cadamier Network Security Corporation in Denver. We can provide you with the log management security solutions you need. Now that you know why you need log collection and security reporting, contact us for the best solutions for your business and security needs. What is network forensics? Here at Cadamier Network Security Corporation in Denver, we know this service can help a number of businesses with the security and optimization of their day-to-day operations. In essence, network forensics is the capture, storage, and analytics of network traffic. It also allows you to examine items retroactively, so in case of an event such as a data breach, you can locate and close holes in your network security. Bottom line, network forensics help your business operate safely and more effectively. Network forensics is a bit like having a time machine. It allows you to go back in time to reconstruct a sequence of events. It can give you a complete picture of what occurred at that specific point in time both to help you solve such issues in the future. Network forensics can also be useful in analyzing or discovering violations of HR policies, as well as supporting compliance with various regulations. If you have to meet requirements for HIPPA, Gramm-Leach-Bliley or other regulations, network forensics can help you. Additionally, network forensics allows you to have an audit trail of various transactions. This can be useful for determining additional items that server-based evidence is not sufficient to view. Network forensics can also allow your security team to review security problems to find better solutions while simultaneously allowing for improvement of your network’s performance. 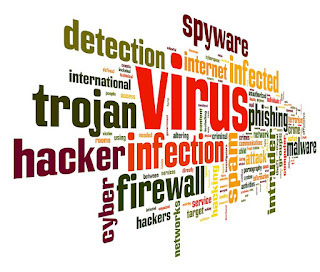 Constant improvement of your network security is a necessity in the world of cyber attacks and theft. 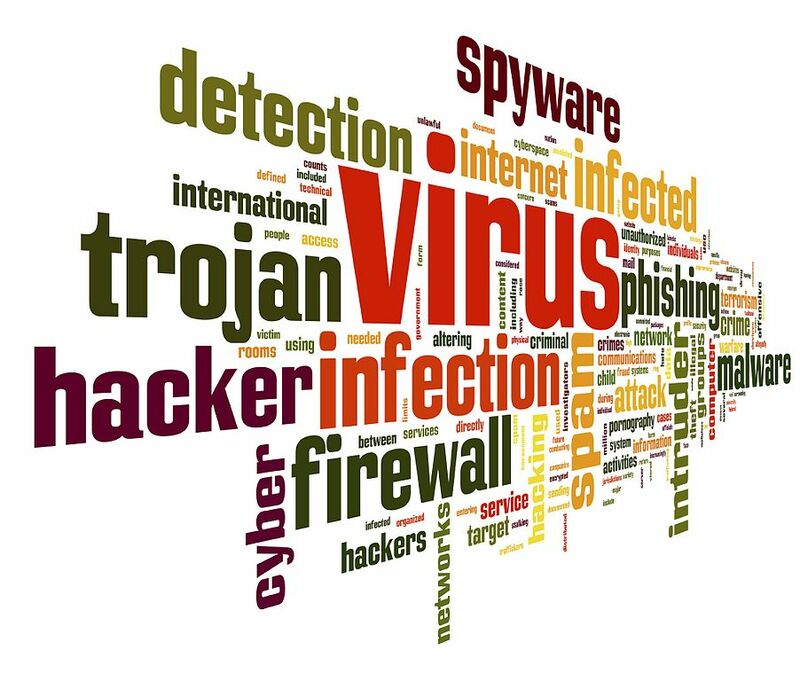 Protect yourself by adding network forensics to your network security system. If you need help with your network security and network forensics, contact us here at Cadamier in Denver for to discuss your unique requirements. We offer a broad range of network security solutions that can help keep your business safe. Network forensics can also help you solve network problems. If you have intermittent network issues, network forensics can help you determine the source of your troubles and help you formulate solutions. It can provide you with details for those times when your network slows or experiences bottlenecks and it can help you optimize your network to improve transaction times and assist with load balancing. There are a few different systems for network forensics. Each comes with pros and cons. · “Catch it as you can” systems: These types of forensic systems pass all packets through a specific traffic point. The packets are written to storage and the analysis is performed later in batches. This system allows comprehensive visibility of all traffic in the past but it also requires larger amounts of storage. · “Stop, look, and listen” systems: Each packet gets analyzed in a simple and basic way and only specific information is saved for future analysis. This type of network forensics requires less storage but faster processing speeds to keep up with traffic. What is network forensics? It is one way you can improve your business and security. If you need network forensics to improve your network security, contact us here at Cadamier in Denver. We have the network security solutions you need for your business. At Cadamier Network Security Corporation in Denver, we know the importance of network security and protecting customer data. If data that you collect or store is leaked, even if it is inadvertent, you could be held liable. Here are some ways to better protect your customer’s information as well as your own business. Making sure that a customer’s data is protected at the point of sale is becoming increasingly important. You may have noticed that the U.S. is now on the list of countries that are moving away from magnetic strip technology in favor of a more secure chip. This has resulted in an increase in fraud for cards that use this soon to be outdated method. The data that has been stolen from these cards now have a limited life and hackers are eager to use the data before it becomes obsolete. Making your system tamperproof at the point of sale is a great way to protect yourself and your customers. Data encryption is incredibly important in cybersecurity. 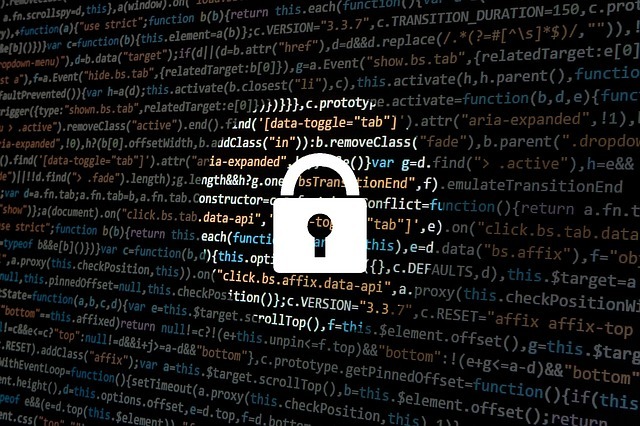 While is it best to keep hackers from gaining access to your data, encryption protects the data by rendering it useless even if a hacker manages to get it. Not only is data encryption important but your encryption needs to be regularly updated to maintain its effectiveness. 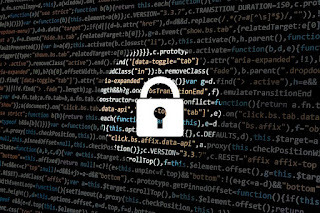 If you need help ensuring your encryption is regularly up to date, that your data is secure, and your customers are protected, contact us here at Cadamier in Denver. We can help your company with all its cybersecurity needs. Some companies love the BYOD (Bring Your Own Device) era. They enjoy that it can lower a company’s costs and increase employee satisfaction. BYOD can also substantially increase your cybersecurity risks. One of the real issues with BYOD is the number of entry points that are created. Every device is an opportunity for a hacker. In order for BYOD to work for your company, you need to be clear about the type of data that can be housed on a personal device and make sure you have a method for ensuring network policy is followed closely and effectively. Depending on your business, you may choose not to allow BYOD to minimize the issue. Criminals and hackers still like to use traditional methods for accessing your customer’s data. This is why it is still very important to ensure your paper documents are protected, particularly when it comes time to dispose of them. Companies that collect and possess consumer information are legally responsible for ensuring proper disposal. All sensitive information must be destroyed properly, such as by shredding them or burning them. If you want your customers to feel secure about sharing their information with you, excellent network security and protecting customer data are musts. Here at Cadamier in Denver, we can help you have the best data security possible and ensure that your customers and your business are protected. Here at Cadamier in Denver, we want to share a bit about network security essentials for small businesses. Sometimes, small business owners think that cybercriminals only go after big companies. Unfortunately, this can put them at risk. Powerful network security can protect you from empty accounts, as well as stolen business and client information. Sometimes, cybercriminals seek out smaller businesses specifically because they tend to lack high levels of security. If you want to protect your company, take a look at our list of network security essentials for small businesses. · Install firewalls for both wire-based access points and wireless access points. · Install anti-malware on both servers and endpoints. · Install spam filters. This will help keep out phishing emails. · Install patch updates for applications and operating systems as they are issued. · Install white-listing. This will help prevent inappropriate software downloads. There are a number of ways your systems can be damaged. Malware, hackers, floods, fires, earthquakes, and even bad employees can cause problems for your system security. Disaster recovery is key to cybersecurity and can only be successful if your system is regularly backed-up and the back-ups are monitored for success. Employees are a line of defense for your business. Training them is an important step in ensuring that your employees are able to help maintain your cybersecurity. Employees who lack cybersecurity training are frequently the cause of security breaches. Creating policies to help your employees understand your network security needs and expectations is a good way to protect your business. Check their compliance and repeat training regularly. Also, consider penalties for failure to comply with your security policies. Your cybersecurity needs to include mobile devices in addition to your own computer system. Determine appropriate access and balance the needs of your business with the personal data use of your employees. If you need help determining the best policies and procedures for your business, we here at Cadamier in Denver can help. We can also help you with various aspects of your cybersecurity needs and provide comprehensive packages for your business’s needs. You need to know where your data resides: cloud services, mobile devices, desktop computers, and servers. You need to be sure that all the locations have network protection. You even need to be concerned about disposal of your data to ensure that old devices will not pose a security risk to your business. Don’t forget about disposal of sensitive paper documents. Proper shredding and disposal are still important in the digital world of today. Keeping track of all the network security essentials for small businesses can be hard. Here at Cadamier in Denver, we can help your small business have the big business security it needs to be safe and protected. Here at Cadamier Network Security in Denver, we want to share how to protect yourself after the Equifax breach. Unfortunately, it’s highly likely that your personal information was part of the recent data breach. In fact, 143 million people may have had their information exposed, including names, birth dates, social security numbers, driver’s licenses, and more. At Cadamier, we’ve been watching this situation unfold and wonder what steps were taken to ensure network security. With the right precautions taken, it’s quite possible that this could have been prevented. And it’s certainly a cautionary tale for businesses of all sizes to invest in proper data security and intrusion prevention. Needless to say, here we are and you may be trying to figure out what next. Let’s take a look. Those who also had their credit card numbers (209,000 people) will be notified directly about the breach. Everyone else must visit the Equifax site and use their last name and their last four SSN digits to determine whether they were affected. If you are affected you may want to take the following precautions to protect yourself after the Equifax breach. Get your free copy of your credit report (you are entitled to one free report annually per agency) from TransUnion, Equifax, and Experian. Your credit report will show who has requested your report, which is a sign your information may have been used to open a line of credit or obtain a loan. A lack of requests doesn’t mean you are safe. It just means that it isn’t on your report. Sometimes, it can take a while for items to make it to your report. Some activities, such as stolen money or suspicious credit card purchases will not show up on a credit report. Contact one of the credit reporting agencies and place a fraud alert on your reports. Whichever agency you choose is then required to contact the remaining agencies. The alert is good for 90 days and is renewable. It is important to look over all of your statements carefully so that you can spot suspicious activity. Look for small amounts of money stolen across your accounts. You can also have a financial advisor or your lawyer look over your statements to help you spot unusual activity. Be sure to check your accounts every month. Monitoring services are helpful but are not foolproof either. Such services track your credit and alert you to credit requests and new accounts, but they do not alert you to suspicious activity. Many of these services also include identity theft protection, which is helpful and will monitor utilities, social media, and payday loan applications. Many monitoring services have a fee, but Equifax is offering one free year of monitoring through TrustedID Premier. This service will track your credit reports and provide you with free copies. It will also scan the web for use of your social security numbers and includes identity theft insurance. This is an extreme step, but it blocks anyone from accessing your credit reports without your express permission. While it can be effective in stopping new accounts, it can also be inconvenient to you because you have to contact the company to lift the freeze when you need a loan or credit card. There is a fee associated with these services as well. Now that you know how to protect yourself after the Equifax breach, if you have a business and want to keep your data and customer data safe, use Cadamier Network Security Corporation in Denver. We offer the products and services you need to keep intruders out and prevent a similar event from ruining your company’s stellar reputation.